Renault Duster, the vehicle which was introduced in the year 2012 brought a storm in the Indian auto Industry compact SUV segment. Not only it changed the face and fate of the French auto major which was struggling prior to this in the Indian auto industry with just five Renault Cars in its portfolio was not able to create an image in the mind of Indian audience and was just another brand available in the market. With Duster, Renault received a massive response and amplified its position in the Indian auto market as well as the global market. Within months of introducing this vehicle in the Indian auto Industry, Renault is ready to roll out a 4X4 version of this vehicle and the images and details about the launch date has been updated on a Brazilian auto portal. The upgraded vehicle will make its entry into the global auto market at early 2014 and we are expecting a similar vehicle to launch in the Indian auto market as well. 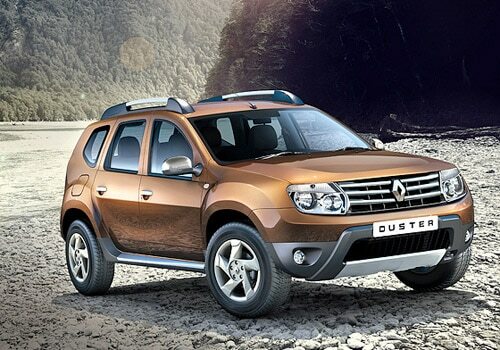 Renault Duster price for the 4X4 version is going to be tagged higher than the present variant available in the market. Renault Duster pictures on the interweb suggest that the facelifted version has taken its cue from Renault D Cross concept that was showcased at 2012 Sao Paulo Motor Show. The new version comes titivated with changes both on the exterior and interior level as well giving it a more modish and plush appearance. The changes on the exterior level includes a redesigned headlamp, refreshed front grille,front and rear bumper and likely a redesigned tail gate. The cabin area is rendered with a refreshed dashboard and features that offers you comfort. The extremely needed change in the dash was to shift the touch screen display for better access and we are expecting that to happen with the new version. Renault Duster features an automatic diesel variant which many market analyst are expecting is a bit dicey and not expected to happen with the 2014 version. The 4WD version along with the 2014 facelift will definitely happen Renault to bag in more sales and way necessary for Duster to stronghold its position in the Indian market and with the coming in of Ford EcoSport, the French auto major needed to armor itself against the oncoming battle.Renault feels all set to face the competition and the outcome of this battle we will just have to wait and watch!